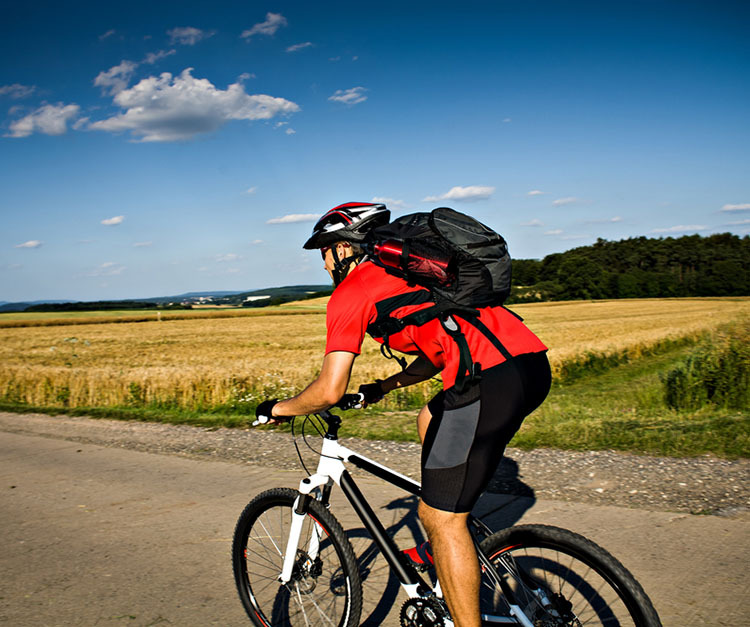 Cycling is the art of biking uphill, downhill, and anywhere else you’d like to take your bike. It’s extremely fun to go on trails with your mountain bike, ride across town to grab some lunch, or even hit the beach with nothing but the clothes on your back and a towel to lie down on. But very few people ride bikes anymore. When you were kids and growing up, everyone had a bike to get around on. You were weird if you didn’t have one. But the reason you should be riding bikes more often, even as an adult, is because it’s amazingly good for your overall health. Not only does your heart love all of the attention it’s receiving, but your legs and core get a solid workout, too. And it’s fun! Riding around time and getting the wind and sun in your face feels inspiring, and it’s exactly what you need to break the cycle of laziness. If you have been biking a lot, you would know how good it makes your heart and cardiovascular system feel. Not only do you feel great the next morning, but over time, you’ll feel more alert and awake. It almost gets to the point where you don’t even need coffee in the morning! When you’re in a state of supreme laziness and inactivity, your body goes into slug mode. This contributes negatively to your health, and so much so that you feel worn out and tired every second of the day. This tired feeling makes you reach for more and more coffee, but caffeine can only do so much. By regularly biking, you’ll jump start your cardio system so it’s more attentive to your energy levels. You can virtually bike anywhere, and mostly in places that your car simply cannot get to. This opens you up to more areas to explore. In addition, you can now take your bike to state parks and ride the trails and see what kind of secrets these places hold. I’ve often found beautiful lakes, awesome mountain views, and spectacular patches of land to ride on. You won’t know unless you get out there and search for them. If you don’t have a bike, it’s not a big deal. Your nearest store probably has a ton on sale for $100 or so. What’s $100 for limitless fun and exercise? Don't Be the Fat Guy at Work: Fix it!